If you’re receiving chemotherapy, your oncologist has likely talked to you about the risk of infection and how you can lower your risk. A low white blood cell count referred to as chemotherapy-induced neutropenia can lead to difficult to treat and even fatal infections if they are not treated in time. Certainly, this risk will vary depending on the chemotherapy drugs you are receiving, your white blood cell count, and any treatments you are receiving to raise your white blood cell count (such as Neulasta or Neupogen). Yet anyone should be aware of some of the common infection risks during cancer treatment. It’s important to note as well, that even if your counts are normal, you may still be at risk. With cancer and cancer treatments you may have a normal number of white blood cells, but those that are present may not be working as well to fight off invaders such as bacteria. At the same time that there is a risk of infection, however, it’s important to live as normal a life as possible and to participate in activities you enjoy. Where do you draw the line? Can you attend your 10-year-old granddaughter’s choir concert? Let’s start by discussing some of the possible and theoretical risks of infection. There are many simple measures you can take to lower your risk. You may wish to bring this list with you and ask your doctor which measures are important and if she has any other thoughts on how you can stay as healthy as possible during cancer treatment. Going back to the choir concert, it’s also important to ask your oncologist about any activities you are unsure of. There are many factors which come to play, not limited to whether or not that concert is in the middle of flu season. There are several reasons why understanding infection risk is so important during chemotherapy. One of the obvious reasons is that, if you should develop an infection, it can be much harder to fight off. Certainly, antibiotics can help, but we still rely a great deal on a healthy immune system to do much of the fighting. This is evident if you remember the stories of “bubble babies” who are born without an intact immune system. Another reason is that when your immune system is suppressed, you may develop an infection with a bacteria or virus that doesn’t ordinarily cause illness. We are exposed to microorganisms every single day without knowing it because our immune systems do their job. Yet another risk, is that the microorganisms you are exposed to in a clinic or hospital setting can be harder to treat. These resistant “bugs” have developed ways of surviving even strong antibiotics. If you’ve ever been asked about “MRSA” this is an example. Antibiotic resistance is becoming more of a problem each year as the "bugs" get smarter. Finally, it can be harder to recognize the presence of an infection when someone is coping with cancer. If you already have symptoms such as a cough related to your cancer, it can be harder to determine whether you’ve developed an infection or if your symptoms are related to your cancer alone. Now that you are familiar with some of the infection risks, let's take a comprehensive look at how to lower your exposure. One of the more common risks of infection during chemotherapy occurs when people are in close contact with others. Oncologists frequently recommend avoiding crowds, but what exactly does that mean? Close contact in enclosed quarters carries a higher risk than being out-of-doors. This may include transportation such as a plane or a bus, or locations such as a crowded shopping mall. Whether you need to avoid crowds will depend on exactly what your white count is and the time of year. If it is the peak of flu season, such as in January, you are much more likely to catch an infection than in the quieter (from an infection standpoint) months of summer. If you must be in a crowded environment, talk to your doctor about whether you should be wearing a mask. It's best to avoid people who are sick including your loved ones. This can be heart-breaking at times, but consider how your loved one would feel if they realized you transmitted an infection to them. Limit sharing anything with loved ones, from cups to eating utensils, to toothbrushes and even make-up. We know that foods can result in infection, and there are close to 50 million cases of foodborne illness each year in the United States. Yet, as noted above, you may be at risk of foodborne infections which would ordinarily be a problem, and even minor infections could be more severe. Here are some tips to reduce your exposure to foodborne pathogens during chemotherapy. Avoid raw meats. Order red meat well-done. Eat only fully cooked seafood, in other words, no sushi until you are done with treatment. Eggs should be fully cooked. Avoid eggs cooked sunny side up and order eggs benedict only if raw eggs are not used. Avoid honey. Just as infants under the age of one should not eat honey due to the risk of botulism, honey should be avoided in those who are immunosuppressed as well. Be careful of cross-contamination. Don't use the same cutting board to cut raw chicken and vegetables. Inspect all fruits and vegetables for signs of spoiling. If you eat out, avoid buffets where food is left out and also has the potential of being contaminated by people who cough or sneeze. Avoid cheeses that are meant to be moldy, such as brie and blue cheese. That's a start, but learn more about what not to eat during chemotherapy. A dog can truly be man's best friend, and in fact, pet therapy for people with cancer has been found to have several benefits. Yet there are some things you should be aware of if you wish to keep your pets during chemotherapy. There are also a few pets which you may wish to loan out to a friend until your treatment is done. Many of the infections which can cause a problem during chemotherapy are not much of a problem if you are healthy. For that reason, you may not be familiar with the most common of these. Doctors use the term zoonotic infections to describe infections which can be transmitted between animals and humans. One of the more common risks is toxoplasmosis. Roughly 25 to 30 percent of people have evidence of having been exposed to this infection caused by the bacterium Toxoplasma gondii. While the infection is often mild or unnoticed, it can lead to severe symptoms such as seizures or blindness in people who have compromised immune systems. You may be familiar with this disease as it is the reason pregnant women are advised not to change the litter box. If you love your kitty that's okay. It's advisable to wear gloves or have someone else change the litter. Keeping your cat indoors also lowers the risk. Remember that cats often use gardens as a litter box, and wearing gloves is a good idea when gardening whether you own a cat or not. There is much more we could share about pets and infections during chemotherapy. If you have pets, be aware of how to keep your pets during chemotherapy by learning about precautions with specific animals. Practicing a few tips can cover most of your bases. Avoid adopting a kitten or puppy during chemotherapy. Not only are these youngsters more likely to transmit an infection that their older counterparts, but they can be as much, if not more work, than a toddler, and your rest is extremely important during treatment. If you have cats, try to keep them indoors if possible. Many infections are picked up from the "wild game" they catch. Have someone else clean the litter box and pick up dog poop. Play with your pet carefully. Most infections are transmitted by bites and scratches (or by saliva and feces). Use gloves if picking up feces, cleaning the bird cage, or cleaning the aquarium. Pets such as reptiles and wild animals are best avoided during chemotherapy. If your child has a bearded dragon, that's probably okay, as long as you look and don't touch. There are a number of day to day tips that may help lower your risk of infection as well. Whether you should receive immunizations or not during chemotherapy can go both ways, and it's important to talk to your doctor. There are two primary types of vaccinations, those that are "killed" and those that are "attenuated." Attenuated vaccines are live and should be avoided during chemotherapy. Killed vaccines are unlikely to cause a problem with infections, but may not work to mount an immune response. Since the flu is notorious for causing severe secondary infections in people with cancer, talk to your doctor about whether you should get the flu shot as well as the best timing to receive it. The nasal flu spray vaccine (FluMist) is an attenuated vaccine and should not be used during chemotherapy. There are specific immunizations recommended for people with cancer. If your white count is low and if you will be out in public, your oncologist may recommend wearing a mask. If you do wear a mask, make sure it fits well and seals properly. Remember that a mask may decrease our exposure but does not prevent your exposure to all bacteria and viruses. Before beginning chemotherapy, it can be helpful to pick up a box of disposable gloves which you can use for everything from cleaning up children's noses to cleaning up after animals. It seems we all know how to wash our hands, don't we? Most of us were taught when we weren't yet in school. In talking about the importance of re-learning proper handwashing it may help to realize that all surgeons have "re-learned" how to wash their hands during medical school and residency. It's not always clear what is necessary to lower the bacterial burden on our hands. The first step is to fully lather your hands. Surprisingly, antibiotic soap is not needed, just a good hand soap. The next step is the one where most people mess up. Scrub your hands for at least 20 seconds. You may need to time yourself, as most people are surprised how long this really is. The last step is to dry your hands with a clean towel. Use either a paper towel or a clean towel that nobody else has handled. If you have a low white blood cell count, infections can be more difficult to treat than if your white count is normal. For example, your oncologist may recommend intravenous (IV) antibiotics for an infection that would ordinarily be treated with oral antibiotics. 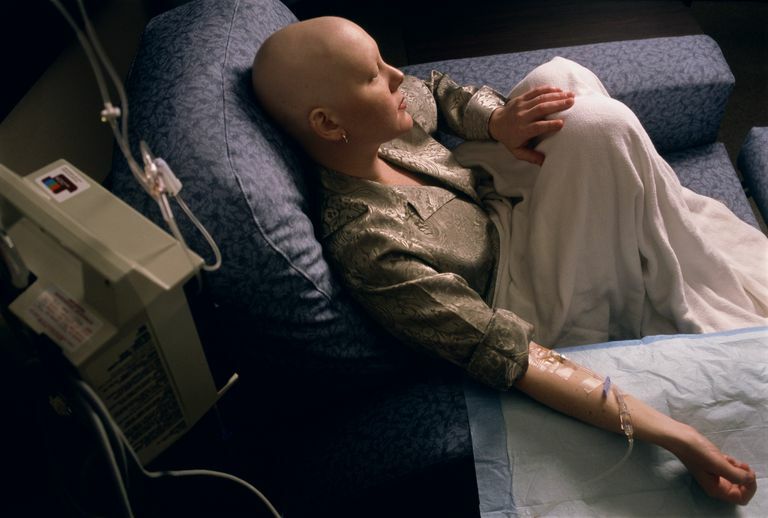 A fever which develops during chemotherapy is also often treated with a combination of strong antibiotics until the exact cause of the infection is determined. Treatment often takes place in a hospital where you can be observed very closely. Each year we hear of the numbers of nosocomial infections. Not only are hospitals a good place for germs to congregate, but resistant bacteria are a known in the hospital environment. Over 1.5 million people are infected in hospitals each year, and 100,000 of them will die. Insist that everyone who visits you, from your doctor to your loved ones, first washes their hands. In addition, check out these tips on avoiding hospital-acquired infections. Dunbar, A., Tai, E., Beauchesne Nielsen, D., Shropshire, S., and L. Richarson. Preventing Infections During Cancer Treatment. Clinical Journal of Oncology Nursing. 2014. 18(4):426-431.
van Dalan, E., Mank, A., Leclercq, E., Mulder, R., Davies, M., Kersten, M., and M. van de Wetering. Low Bacterial Diet versus Control Diet to Prevent Infection in Cancer Patients Treated with Chemotherapy Causing Episodes of Neutropenia. Cochrane Database of Systematic Reviews. 2016. 4:CD006247. Neulasta vs. Neupogen for Chemotherapy: Which is Best? Can I Keep My Pet If I Have Cancer?